Wild game is healthful, lean meat. Its low fat content requires that game recipes are designed to help the meat remain moist. 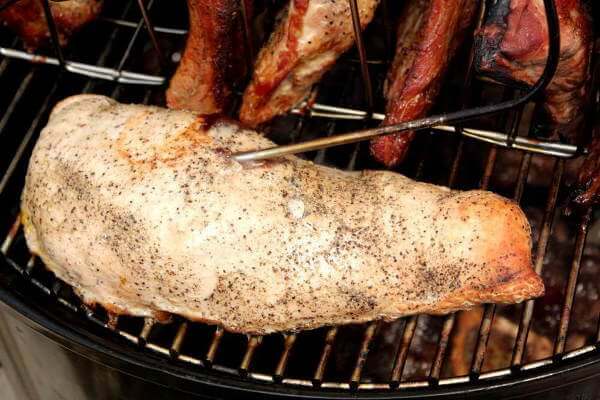 The recipes here have been developed to prevent this lean meat from drying as it smokes. 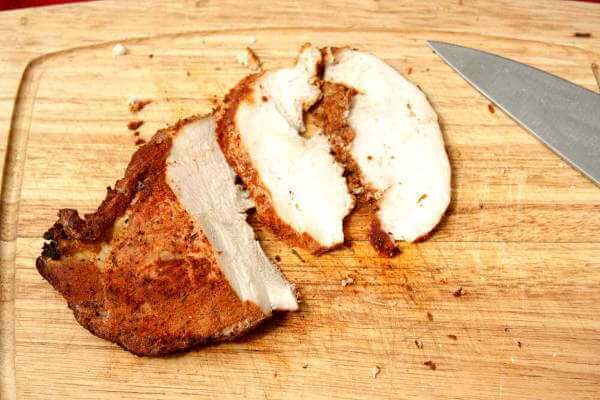 Techniques including basting, brining, and combination cooking can help an otherwise dry cut of game meat turn out more tender and moist than it would be otherwise. Wild game is highly variable in its quality, so there's no guarantee that these recipes will turn out moist and tender every time. Here are some recipes that I've used with great success. Combining bacon with venison adds fat that ups the flavor and the moistness of the roast. The pheasant is wrapped in the skin from chicken leg quarters, which works well at keeping the meat from drying. Marinating and smoking the goose breast turns it into a real treat! I have to give thanks to my neighbor and friend Jeff for the bacon wrapped dove recipe. Thanks, Jeff! 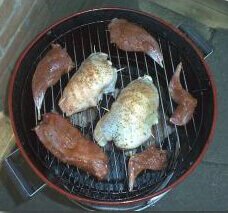 The duck and quail recipes will help you turn your birds into some fine eating. I hope you enjoy the recipes!